Tough technology that can withstand all conditions. 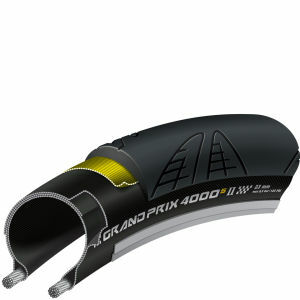 With the Grand Prix 4 Season's DuraSkin™ anti-tear fabric, this tyre is as hard as nails. 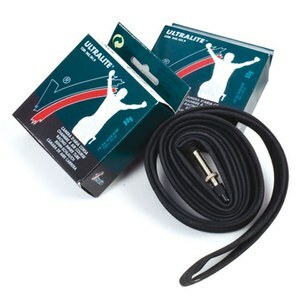 Featuring in the hellish Paris - Roubaix race, it was later found that riders who had been using this tyre with DuraSkin™ actually suffered less punctures and other tyre related incidents. I purchased the 28x700's, and so far after 1500km's, they're still looking virtually new with little to no wear. Very capable in wet conditions as well. They have been great day to day commuter tires for me. I find them quite fast with low rolling resistance considering how tough they've been designed. The GP 4 season tires have served me well. 20 years with Michelin, try for the first time something else... seems fine, good handling and rolling. Got the 32mm versions of the 4 seasons. 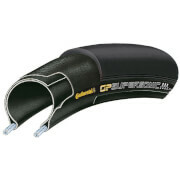 Low pressure required 55psi rear 50psi front for 70kg rider. All the road buzz disappears from our NZ "chip and seal" roads!! 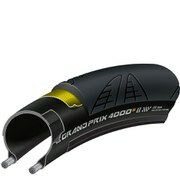 If you can fit them on your bike highly recommended as a winter or commuting tyre. 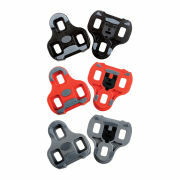 Tests say they are as tough as Gatorskins but with much better wet grip and compliance. I use these on both my bike & my wife’s bike.. both are road bikes..the flats are few @ far between..I highly recommend them.. I ve been using the 25 and 28 mm 4 Seasons tires for Road Racing and training, great tire and no flats using 100PSI for 25mm and 90PSI for the 28mm tires. Smooth riding and no flats, better quality tire after tire versus the Gator tires. I've had abnormalities in the GP4000's and Gator Hardshells in the past. the 4 Seasons really seem better. 360 TPI helps comfort, tread is no slower but the confidence is no flats far out weighs the little faster lighter tires in a road race. Its a sure thing and thats why I buy he 4 seasons tires. Continental Grand Prix 4 Season has been my go to year round tire for the past 10 years!... this is my 4th pair. With its strong tread design providing confident grip in all types of weather and puncture resistant materials that really work, these tires always give me a great ride and peace of mind where ever I ride. Great tire. these are the only tires I ride. Nothing else rolls like these tires. I use a tire liner and still rolls great. 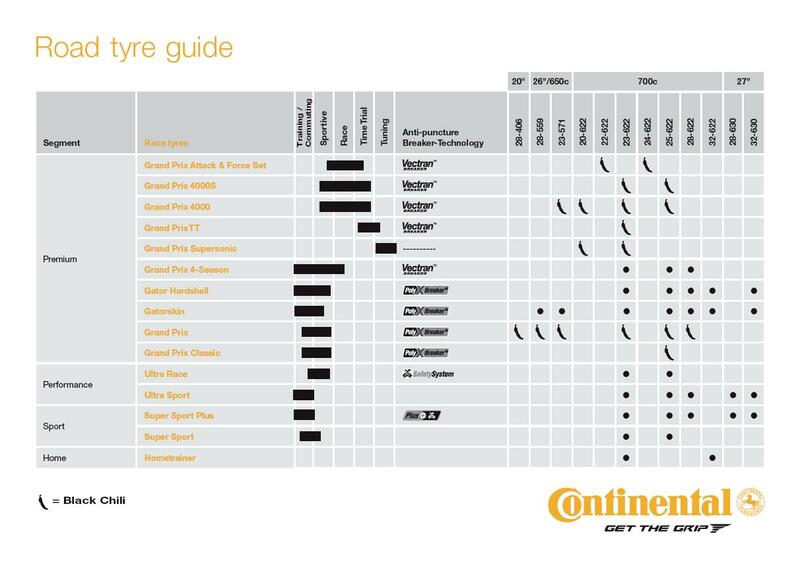 I have tried a few tyres, even other Continental ones, but these are just so reliable. In two years (I know I am tempting fate here) I have not had a puncture, and I ride about 220kms per week. That includes riding on some rough roads in Italy, they are just fantastic. I have even dug out glass from the tyre where it should have gone through, but these have a great level of protection. Rolling-wise I don't see much difference from any other tyre, so they won't hold you back. Upgraded from my stock 700x23 tires to these Continental 4 Season tires which are 700x25. Nice difference in comfort and roll. 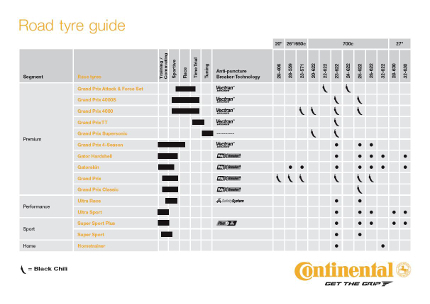 Always a fan of Continental tires and I always recommend them to friends, family and other riders. In fact I bought 4 during my latest purchase...2 for me and 2 for a friend. I got to give kudos to PBK as well since you can't beat the price. I rode on one of these for, I guess, over three years and never had a flat (after having flats all the time with my cheapo tires). Then I started getting flats. It looked worn out so I replaced it with the same thing. The bead fits very, very snuggly on my 700mm Roval rim. I am looking forward to another 3 years of no flats.